We are a authorized printer of Ray Eyerly’s lithographic reproductions. Ray Eyerly produced a large number of prints from his originals and either sold or gave them away to friends and family. His original print reproductions were not printed on acid free paper using archival inks and over time these older prints have faded and lost color. We were very fortunate to be allowed to have access to some of his artwork through one of his descendants that has retained some of his work and has authorized us to reproduce and sell them. 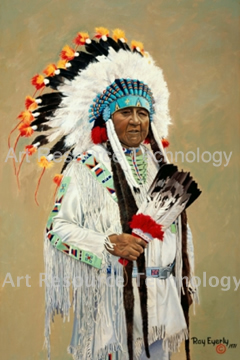 The images below are scanned from Ray Eyerly’s original lithographic reproductions and are available for purchase. These are giclee prints using Epson long-life archival inks on acid free fine art canvas and finished with a UV protective coating. Giclee prints of his work are only available for purchase unframed.